. Saturday, December 31st IMU presents NYE PARTY! 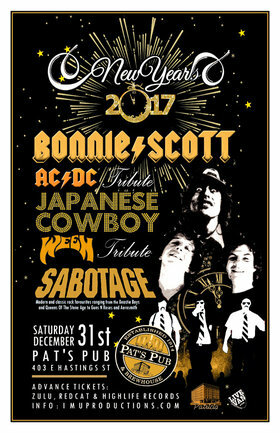 BONNIE SCOTT AC/DC Tribute, JAPANESE COWBOY Ween Tribute + SABOTAGE @ Pat's Pub, 403 East Hastings Street. Doors 8pm / Show 9pm / $12 Advance Tickets @ Zulu, Red Cat & HighLife Records / $15 cover @ the door. 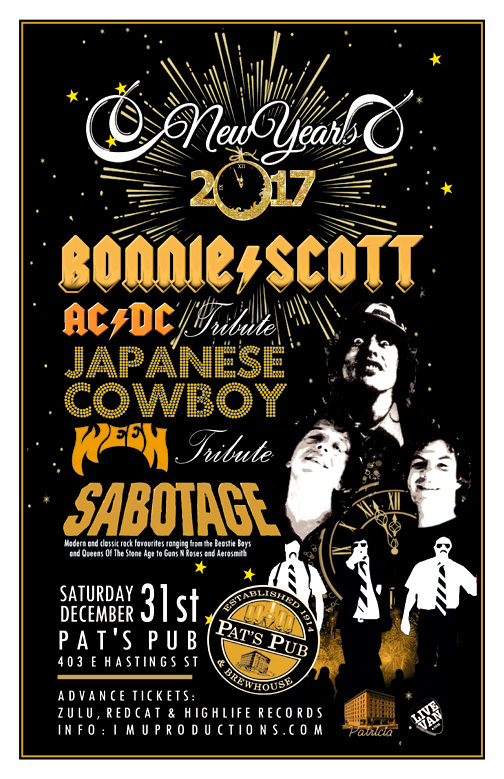 Ring in the New Year and kick 2016 to the curb!